How do you make the saltwater for a saltwater reef tank? Have you ever looked at a saltwater tank at a city aquarium, or even a dentist’s office and thought, “I wish I could have one of those!” but don’t even know where to begin? For example, where do they even get the saltwater for that reef tank from? Do you want to know how to make saltwater? The water near civilization is sometimes less than pristine and may not be suitable for a home reef tank. Many reef aquarium hobbyists who want to eliminate the potential unknown factors associated with harvesting natural seawater, or for the vast majority of us who don’t live near the ocean, some will actually purchase their saltwater from their local fish store. However, buying saltwater at your local fish store can be expensive and still significant logistical challenges–especially for the aquarium hobbyist with a rather large saltwater reef tank. I believe the most common source for the saltwater used in a saltwater reef tank is to make saltwater from a reef salt mix. Simply purchase a high-quality salt mix and make the saltwater yourself. Don’t be alarmed, making saltwater from the salt mix can be as simple as making iced tea from a powdered beverage mix. The process for how to make salt water for a reef tank is fairly simple and can really be done with just a few simple steps. 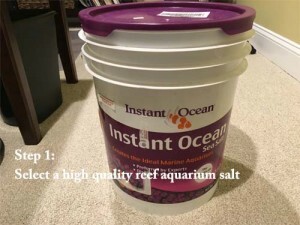 The first step is to purchase a high-quality reef salt mix. Your local fish store will likely have a selection of salt brands to choose from. If you aren’t sure which brand is right for you, I encourage you to check out my reef salt mix product review. These days, I get my salt online. It’s cheaper and I no longer have to worry about these heavy buckets rolling around in my trunk. When in doubt, read and follow the instructions on the reef salt mix package. 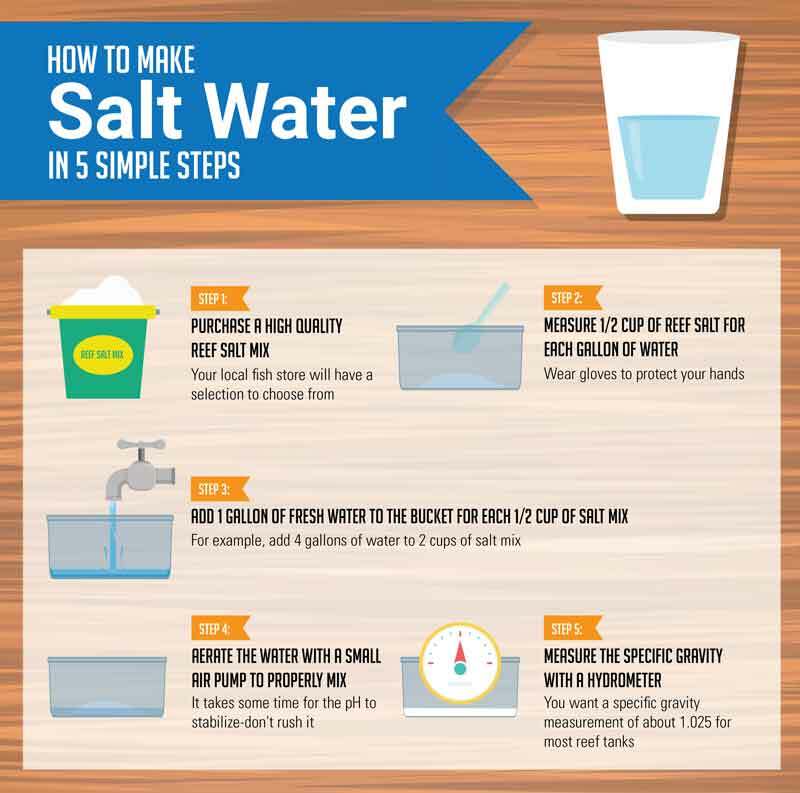 Most salt mixes call for about 1/2 cup of reef salt for every gallon of freshwater–so use a measuring cup to measure out the salt precisely. Wear plastic gloves to protect your hands. The manufacturers tend to make recommendations on the light side. For example, the salt mix I personally use is Instant Ocean, which calls for 1/2 cup of salt mix for every gallon of water. But this recipe makes water at a specific gravity of 1.021, which is fine for a fish only tank but is a bit low for a reef tank. To have reef-quality water, you will need to mix in more salt~ approximately 1/2 cup + 1-2 tablespoons per gallon. Scoop 1/2 cup (unless the package tells you differently) into a reef-safe, chemical-free bucket used only for mixing saltwater or performing water changes. Depending on how much salt you measured into the bucket, you now want to add the correspondingly appropriate amount of water to that bucket. 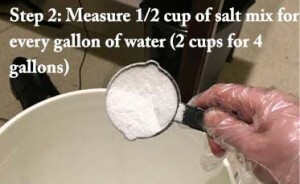 For example, if you added 4 x 1/2 cups (2 cups total) of salt mix, you want to add 4 gallons of water to the bucket and stir well, while the bucket fills up with water. Use a small air pump and airline to aerate the water. Mixing the salt into the freshwater causes a chemical reaction and it takes some time for the chemical properties, like pH to stabilize. Aerating the water for a short time helps adjust the oxygen/carbon dioxide and pH levels. 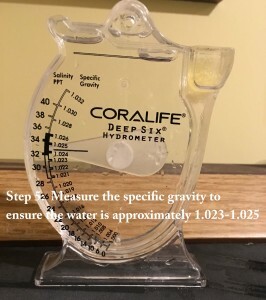 The last step in how to make saltwater you take before adding the saltwater to your tank is to use a hydrometer to measure the specific gravity of the water in order to confirm the water has the right amount of salt in it. Generally speaking, when deciding how to make saltwater, you want a specific gravity of about 1.025, which is the specific gravity of natural seawater. As I mentioned earlier, you might need an additional 1-2 tablespoons of salt mix for every gallon of water, depending on the salt mix you use and the desired salinity. It is probably best to measure this all out, precisely, the first several times you do this and then as you get more comfortable you can probably get ‘pretty close’ just by creating a heaping scoop of the salt mix. But always test your water before and after adding to your aquarium to ensure your water parameters are in the right range. Use a reef journal to track your readings over time to stay disciplined and look for any problems. 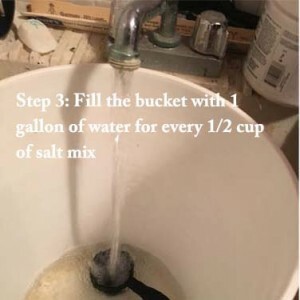 This process of how to make saltwater from a reef salt mix can get a bit more complicated if you don’t have a high quality, pure water coming from your tap. If there is a lot of chlorine in your municipal water, you may need to use a dechlorinator to purify your tap water first, or you may need your own RODI system to purify your water prior to use. But if you are a beginner in the saltwater aquarium world, I encourage you to start off small, with a nano aquarium, try out a fish-only aquarium first with a tried and true species, like captive-bred clownfish, and get some experience mixing the saltwater with tap water salt mix first–before you go crazy with all the extra purification equipment. Don’t get me wrong–the highest quality water will give you the best results, but depending on the size of your set-up and the purity required by the animals you plan to keep in your tank–all of that complexity and expense may not be warranted, so why not start out slowly–test, observe and see. 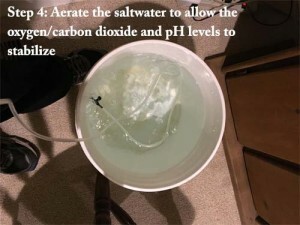 I hope that helps demystify the process of how to make saltwater from a reef salt mix. If you liked this article and want to take things to the next level, I encourage you to check out: The New Saltwater Aquarium Guide to learn more about what it takes to be a successful saltwater aquarium hobbyist. A great place to learn more about how to make saltwater is the Instant Ocean product site. 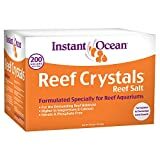 Instant Ocean is one of the most popular reef salt mix brands on the market. You have it backwards! Water to salt. Thanks for the comment, Steve. Not only do I have it backwards, but I don’t even know what to fix. Could you clarify? What’s backwards? Looking forward to your clarification. Thanks and sorry. Glad to contribute a bit of feedback to your blog. And so far so good with my marine reef tank. About to do a 20% water change over the weekend despite the clarity of the display tank. Fish seem to be quite peppy and my invertebrates, including corals are growing at a substantial rate. Will send you another pic soon, so you can see for yourself? Sounds like things are growing great. Kudos to you! I am one saltwater aquarist who likes to use the pre-mixed saltwater for both my display and quarantine tanks. I currently use the 5gallon boxes of Pacific Ocean mix. This is how I started out in the hobby and guess I’m basically a creature of habit you could say. Even though I have a couple of bags of the coral reef salt mix, I get a bit apprehensive, or maybe it’s just sheer laziness, about mixing up the salt in a 6 gallon bucket for example, to do my water changes. Where I live, I still have well water believe it or not. So I do not have to worry about chlorine in the salt mix as some folks do, who have public water running to their homes. 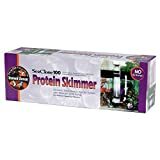 I know this is not rocket science to mix 1/2 cup or 2 cups per four gallons as you mention in the article. But more of a fear of getting my mix not at the desired specific gravity. But I’m thinking that I’m basically used to using the Premix Pacific Ocean mix, because it has the perfect water parameters within the mix already and that makes me feel a bit more comfortable in knowing. Jim, thanks for the great comment. You’re not alone. There are a lot of people, like you, who prefer to buy the saltwater that is ready out-of-the-container. You can’t go wrong with convenience like that, if you don’t mind the small price premium you pay for the convenience. How is your reef?